I had 4 egg whites left from yesterday’s mayo. The obvious choice for using these was to make meringues. The recipe is from chefkoch.de and is called “Liebes Baiser”, i.e. 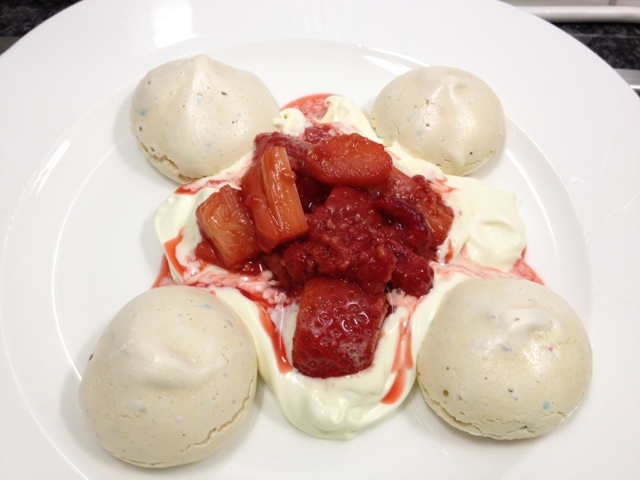 love meringues. 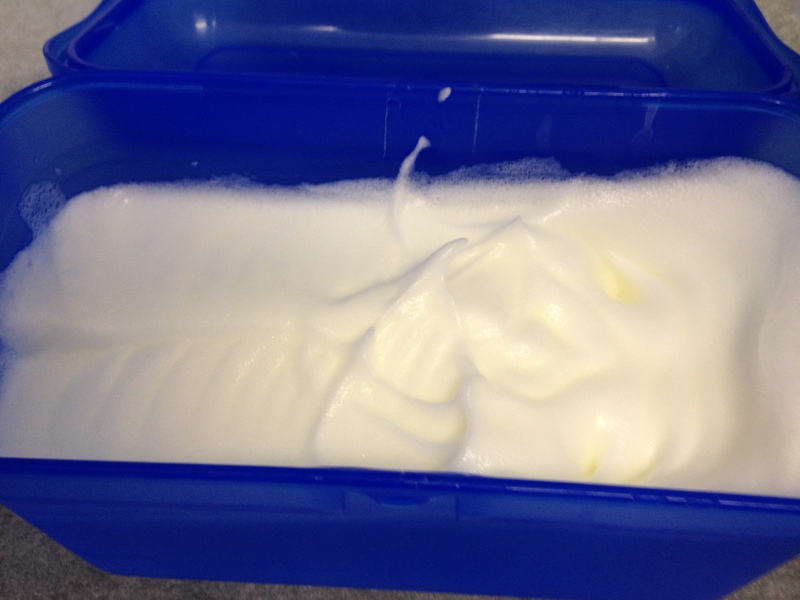 Start off by whisking the egg whites until stiff. 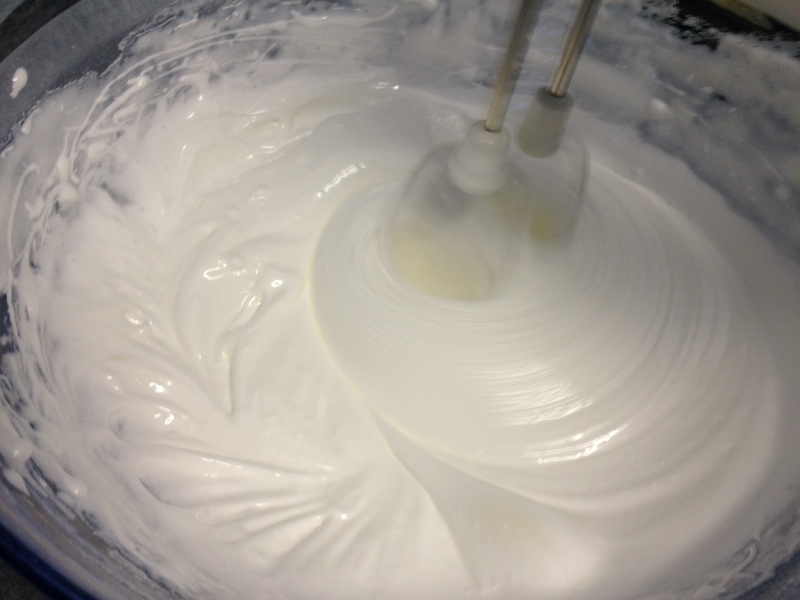 To the 4 eggwhites add 250g icing sugar and 2 packets of vanilla sugar bit by bit. 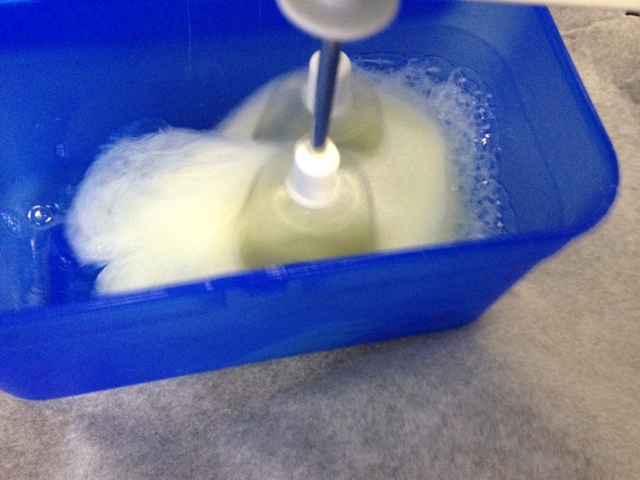 I always add the sugars whisking by hand and not with the electric whisker in order not to risk losing all the ‘fluff’. 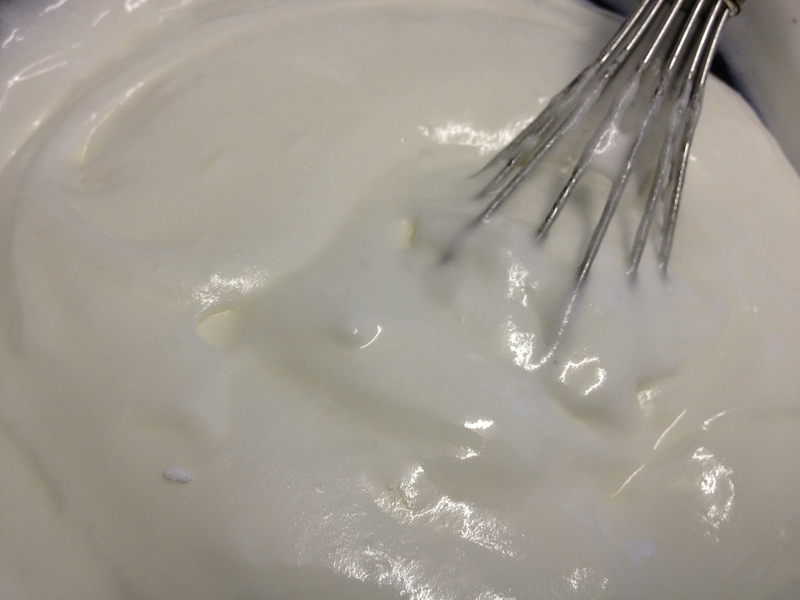 When it is glossy, use the electric mixer to whisk it some more to get a fairly firm meringue mix. 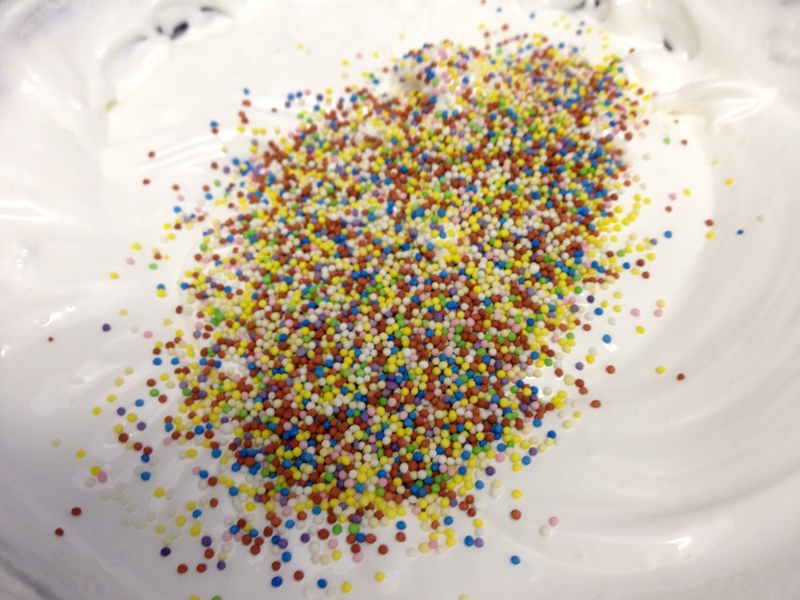 The recipe mixes in nonpareils aka hundreds and thousands. 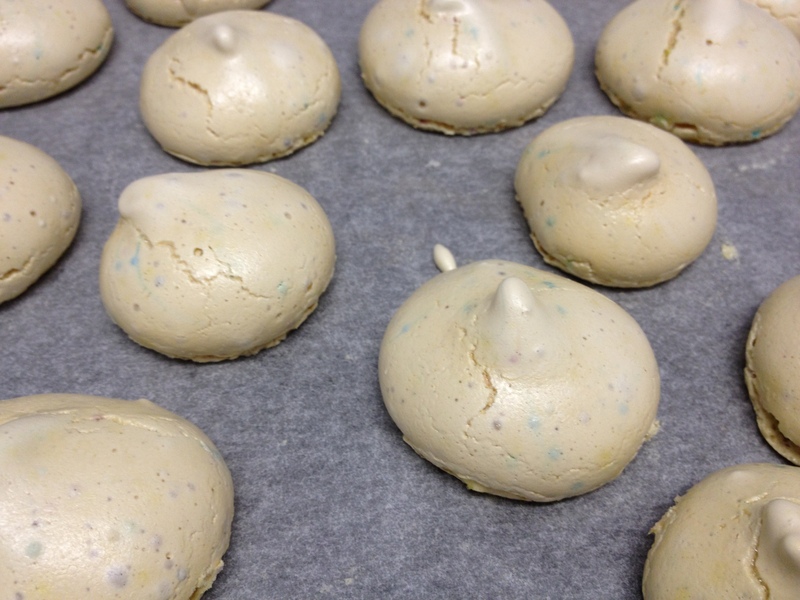 In hindsight I would leave those out as they do not add much to the meringues. 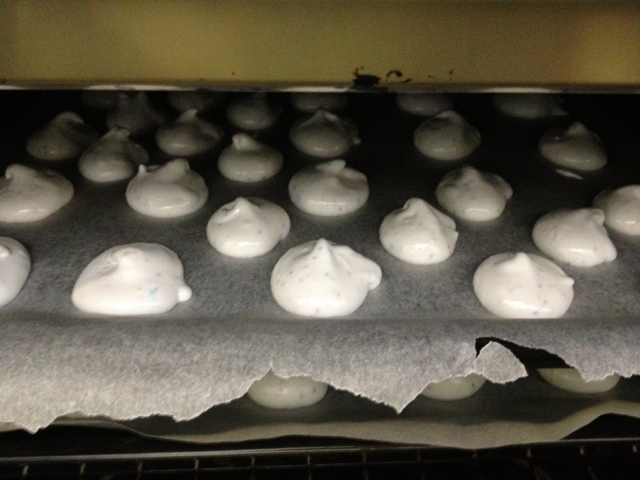 After baking for about 60-70 minutes at 125 degrees Celsius the meringues were perfect. Crunchy and delicious!